Offering you a complete choice of products which include neat cutting oil, soluble cutting oil, water soluble cutting oil, cutting oil for aluminum, biodegradable cutting oil and water based cutting fluid. 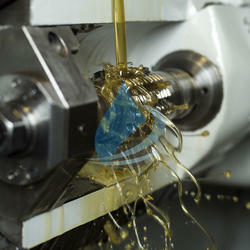 Our organization is very well known in offering Neat Cutting Oil to our clients. The best known characteristic of our range is its long shelf life and adulterant free nature. Uniquely formulated at our state of art manufacturing unit making use of best quality material and ingredients; Neat Cutting Oil is ecofriendly and has excellent thermal stability. We are offering Neat Cutting Oil at pocket friendly price to our clients. Supported by love of our clients, we are offering Soluble Cutting Oil of best quality to them. These are completely soluble and are used for enhancing performance of engines and motors by leaps and bounds. These are renowned for their excellent chemical and physical properties and are customized according to clients’ choice. In addition to this, these Soluble Cutting Oil have accurate composition. Owing to rich production experience and knowledge, we have emerged as an affluent manufacturer, trader and wholesaler of Water Soluble Cutting Oil. This is widely used in cutting process of steels & other alloy. This cutting oil is processed by using finest material and latest machinery. The whole range of cutting oils is thoroughly examined by our experts. Customers can get the offered cutting oil from us at suitable rates. We are a well-recognized name occupied in offering of Cutting Oil for Aluminum. This oil is suitable for lubricating system and is the medium by which power is transferred in hydraulic machinery. Well-known for its attributes like eco-friendly nature, high viscosity, excellent thermal stability, accurate composition and long shelf life, the provided oil is highly demanded in automobile industry. 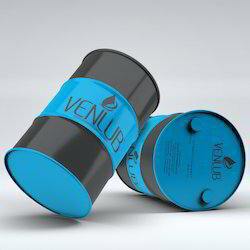 For its safe transit, oil is filled in moisture proof packaging in order to avoid its leakage. General Composition Mixture of mineral OIls, Corrosion Inhibitors, Anti Wear etc. We manufacture and wholesale a fine quality range of Biodegradable Cutting Oil, which are available in various packaging. These products are used in different small as well as large scale industries and are widely acknowledged for their efficient performance. Our products are available as per the clients given information and we offer all these products at reasonable prices. Thus, we offer these products with various quality characteristics and are also used in different different machines and equipments. Available with us, is a comprehensive range of Water Based Cutting Fluids. This high performing cutting oil is formulated for operations like lapping and honing. 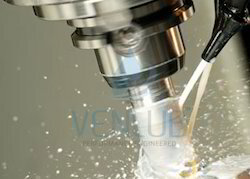 Apart from this, cutting fluid is also used in low to moderately severe machining operations as well. Due to their low viscosity, these fluids provide excellent cooling effect and chip flushing ability. These light in color fluids offer high visibility to the operator at the time of operations. Moreover, due to their chlorine containing additives, these make the oil able to withstand high and varying load. We rule the market in offering a qualitative assortment of Cutting Oils that is used for providing smooth working to the automobile parts. Offered oils are sternly tested under the awareness of our able professionals against a variety of quality parameters. Our range is processed with most extreme insurance at our research center by utilizing best quality mixes under the direction of the master experts. We hold expertise in offering Metal Working Cutting Oils which are sourced from our authentic vendors of the market. These metal working oils are widely used in leaf springs, nuts and bolts in order to increase their functionality. These working oils are formulated using premium quality components at our vendors end.The metal working oils are widely acclaimed by our customers for good fluidity, excellent oxidation stability, sludge free performance.